Many people store items, like lawn equipment and tools, alongside their vehicles in their garage. But many don’t realize they’re lacking must-have emergency essentials, and instead, taking up space with products that don’t belong. Felluca Overhead Door is a garage door company based in Rochester, NY, that wants to help homeowners protect their automobiles and their garages from harm. By offering an array of services, including emergency garage door repairs, their certified technicians are ready to keep your garage secure. Every garage needs to contain a few key items to help homeowners in times of trouble. One important feature your garage should host is a backup source of power for the garage door. Without one, homeowners will have no way to access the important equipment and supplies inside if the power should go out. Install a garage door opener with a battery backup system that won’t interrupt your daily routine. You should also keep flashlights and packs of batteries in your garage for emergencies. They provide a safer alternative to candles in an emergency. During the colder months, when storms are likely, keep a bag of salt in your garage as well, so you can de-ice your driveway and walkways. Keep everything in your garage well protected with a strong garage door. Felluca Overhead Door offers a wide selection of doors to fit your style and needs. There are many common items in the garage that would be better placed elsewhere in the house. Because of fluctuating temperature, canned food should never be stored in a garage. Instead, keep cans in your kitchen cupboards or pantry. Pet food should never be kept in the garage either. Any open bag of food can easily attract mice and other rodents. Additionally, storing propane tanks in your garage can prove to be dangerous, as any small leak could be ignited when you start your car. Keep your home and your family safe by only storing appropriate items in the garage. 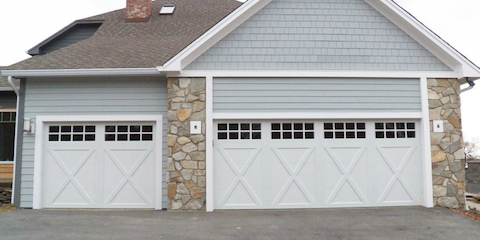 Felluca Overhead Door provides a variety of secure garage doors and reliable repair services. For more information, call (585) 467-2391 or visit their website.